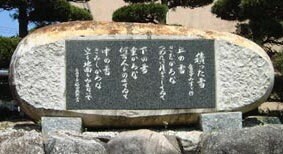 Kaneko Misuzu is a poet who was born in 1903 in Nagato. Her real name is Kaneko Teru. Her writing style is unique. She writes her poems in plain language. It makes us deeply think about things which we usually forget. She writes in a soft and natural rhythm. when she was in elementary school. She wrote 512 poems about nature, espeially about weak creatures. 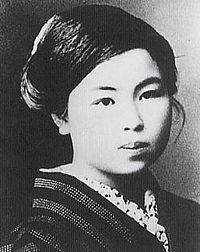 Misuzu Museum was built to celebrate the one hundredth anniversary of her birth in 2003. It exhibits notes of her own handwriting poems. Misuzu festival is held at the begining of every August. She passed away in 1930 when she was 26 years old..